February 2017 prices reached a new high as steady demand combined with record low inventory drove prices up. 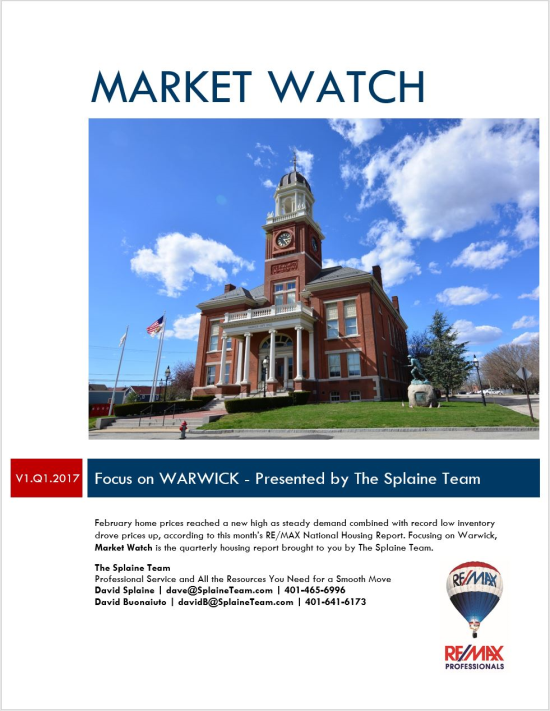 Market Watch - Focus on Warwick is the new quarterly housing report brought to you by The Splaine Team. Order your COMPLIMENTARY Market Watch report for a specific neighborhood here! Your COMPLIMENTARY Market Watch report on a specific neighborhood is waiting for you, click here.